Lipstick on a pig. Why PLM experience is not done yet? Product lifecycle management (PLM) is an information management system that can integrate data, processes, business systems and, ultimately, people in an extended enterprise. This is one of the most generic definitions of PLM system you can find. For many years in enterprise software business, vendors usually missed the last element – people. PLM didn’t give much love to their users and users didn’t share their love to PLM systems. Most of PLM implementations were considered as inevitable evil. PLM implementations were either forced by management as part of company business transformation or inspired and supported by company insiders (PLM champions) – taking care of PLM as part of their personal achievement and benefits. But things have changed for the last 3-5 years. Enterprise software and PLM systems were among the last to get involved into the usability and user experience trend. Not usable software is not popular any more. To think about UX (user experience) and even more to switch strategy from providing “experience” and not software is a new trend. All PLM vendors are engaged in this activities now. So, after lot of fanfares, the dust settled and manufacturing companies found themselves in a new reality of PLM experience. Can we say the job is done and new bright and shining PLM experience can take manufacturing to the next level of what PLM can accomplish? This is a good question and there is no simple answer on that one. PLM have gained lot of momentum for the last few years. But, I think, if you ask users you won’t find the amount of excitement you’d expect after reading PLM experience marketing materials. My attention was caught by the news about Tact gabbing another financial round. If you had no chance to hear about Tact, don’t worry. Tact is CRM software and there are so many CRM systems in the world… But here is the reason I found Tact interesting – it is started from Experience at first. Here is a passage from TechCrunch article you will appreciate. Tact founder Chuck Ganapathi knows a thing or two about CRM software, having spent a decade working for CRM companies — first at Siebel Systems, then Salesforce.com. Ganapathi says the idea for the company came from his own experience working in the industry and facing poor adoption rates, which he says, are hovering around 20-30 percent. “The basic concept comes from my own life in the CRM industry. Over those years of building products, the elephant in room was why do salespeople hate CRM.” He formed Tact in 2012 with the idea of improving that experience. The goal of Tact’s product today is not to build a better CRM, but to make your CRM tool easier to use by turning your device into a smart assistant. The idea is to build an intelligent layer on top of that CRM system. The key word here is to acknowledge how much people hate a system and second to start from experience and work it back to technology. As a reminder I can bring one of my old articles from last year – How to change existing PLM experience? 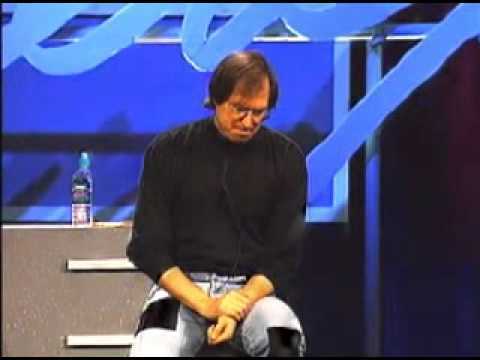 The article is featuring one of my favorite Steve Jobs talks.